But is that in fact the case? 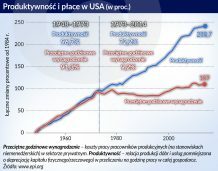 Yglesias, who writes for Slate magazine, took some time to think about his initial reaction and then concluded that the advertising campaign, while catchy, may not have much of an impact on eastern Poland because poorer parts of wealthier countries rarely catch up – even over the long term. “Look around the world and you’ll see that region-to-region convergence almost never happens. Mississippi is poorer than Massachusetts and has been for a long time. The same goes for Northern Italy and Southern Italy, or Scotland and England. East Germany hasn’t caught up to West Germany since reunification despite massive public sector expenditure aimed at closing the gap. And the reason it doesn’t happen, roughly speaking, is that people move. The economic opportunities are better in the richer part of the country and the most ambitious people from the poor part of the country move toward opportunity. They leave behind a population that’s disproportionately composed of retired people, the less-ambitious segments of the native born population, and folks who’ve chosen to prioritize something in life other than big time professional success,” he writes. A closer look at eastern Poland shows that Yglesias may have a point. 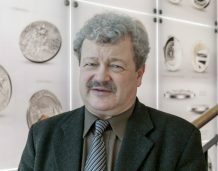 According to Rzeczpospolita, in 2010 Mazowsze became the first Polish region to have a per capita income larger than the EU average – in Mazowsze’s case 102 per cent. Meanwhile, five eastern Polish regions are among the EU’s 20 poorest, with Podkarpackie and Lubelskie at only 42 per cent of the EU average. What is striking is that those two regions were only able to advance only 8 percentage points towards the EU average over the last decade, while Mazowsze was able to advance 28 percentage points over the same period. In fact, the whole of eastern Poland managed to catch up by less than 10 percentage points, while the rest of the country (with the exception of Zachodnio Pomorskie) grew well into the double digits. A quick look at the map of highway construction projects shows that there is almost nothing happening in eastern Poland. The region also lags the rest of the country in terms of attracting foreign investment. Eastern Poland is also losing people at a faster rate than the rest of the country. 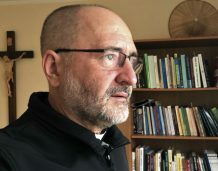 One hope is that the flood of EU structural funds pouring into the country will help lift eastern Poland, but even that assumption may be flawed. Looking at some of the regions that Yglesias mentions, it seems clear that the last of lifting a poor region is enormously difficult and costly – and even after an enormous outlay there is no guarantee of success. In the 20 years after reunification, western Germany spent €1.3 trillion on the eastern part of the country – which remains much poorer and underdeveloped compared to the western half of the country. I was in Gorlitz a few weeks ago, and the town is sucking in workers from neighbouring Zgorzelec because the younger and more ambitious people have moved west. And the west’s reward for having spent so much money on the east? A report by Roland Berger, the consultancy, suggests that the west “rediscover” eastern Germany and spend an additional €1 trillion by 2030 to close the gap between the two halves of the country, reports the German press. That kind of money is enormously more than Poland has gotten, or ever will get, from the European Union. In the end, despite a clever ad campaign, eastern Poland may well be left behind as the rest of the country races forward. 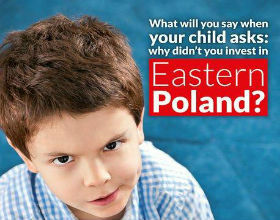 “If you want to invest in Poland, west is best. Convergence is a myth,” writes Yglesias.